The purpose of the Yorkshire Archery Association is to promote and support the sport of archery in Yorkshire. The YAA is the county affiliation body for clubs in Yorkshire. The YAA represents Yorkshire's archers at the regional and national levels. The YAA is affiliated to the Northern Counties Archery Society and the Grand National Archery Society (Archery GB). The YAA has the largest number of affiliated clubs of any English county organisation. 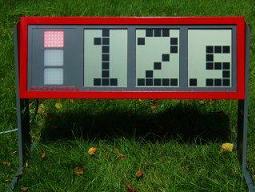 The YAA organises several tournaments each year including the indoor and outdoor county championships. The YAA selects and manages the Yorkshire county teams. The YAA maintains records of the highest scores achieved in the various disciplines of archery practised in the county. The YAA presents awards in recognition of service to archers and clubs in Yorkshire. 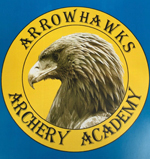 Welcome to the website of the Yorkshire Archery Association. Want to be alerted when a news item appears on this site or a significant change is made? Send an email to yaa@phoenixbowmen.co.uk with the subject line "Subscribe". Once we've confirmed that you want to receive emails from us, we'll add you to the mailing list of people to notify. Your email address will ONLY be used for this purpose and no other. If you have any suggestions for the site or would like it to feature details of your club or event, please contact the webmaster. The YAA have decided not to sell off any used bosses this year since we will not be ordering any new ones. Sales of used bosses are expected to resume in 2020.